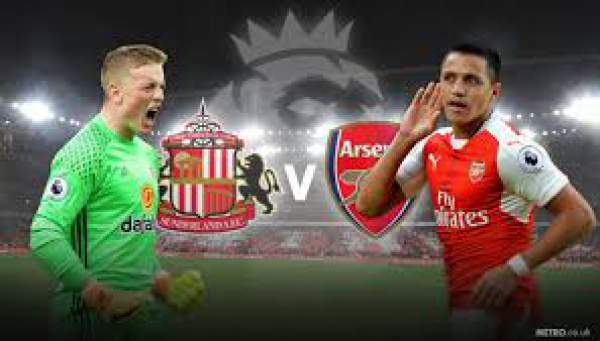 Sunderland vs Arsenal Live Score Premier League 2016 Live Streaming ARS v SUN Match Preview Prediction 29th October: It is the tenth matchday of the Premier League and today we have the first game of the match day as Sunderland hosts Arsenal at the Stadium of Light for their game. Sunderland is currently last on the table with only two points from the nine games they have played, three points below Swansea City. On the other hand, we have Arsenal who are second on the table with 20 points from nine matches, below on goal difference from Manchester City and above on goal difference from Liverpool. 29th October 2016 at 17:00 (IST). Sunderland has gone from bad to worse, having finished just a few points above the relegation zone last season, they haven’t shown any kind of improvement in any aspect of the game. They are currently last on the table with just two points from two draws and seven losses, scoring six goals and conceding 16 goals in total. In their last five games in the league, they have lost all five, against Tottenham, Crystal Palace, drawing to West Bromwich Albion, lost to Stoke City. They played against West Ham United on ninth matchday and lost the game by 1-0 away from home. The game was 0-0 till the regulation time and then in the injury time Winston Reid scored the winner. Arsenal has 20 points from six wins, two draws, and one loss from the nine games they have played, scoring 19 goals and conceding nine goals in total. They have been very strong this season, just like they finished last season. They hosted Middlesbrough on the 9th matchday of the EPL and was able to manage a draw out of it. Pickford, Manquillo, O’Shea, Kone, Aanholt, Watmore, Ndong, Pienaar, Rodwell, Khazri, Defoe. Cech, Mustafi, Koscielny, Bellerin, Monreal, Ozil, Coquelin, Iwobi, Elneny, Walcott, Sanchez. Arsenal is very strong team to beat, and Sunderland will find hard time playing against them.